What Makes a Flooring Products ‘Green’? Due to a growing awareness of the effects of global warming, many homeowners are now supporting the idea of going green by using materials for their home and flooring products that are good for the environment. So What Makes a Flooring Product ‘Green’? · Renewable Resource. If the flooring is made from material that is easily renewable, then it is considered an eco-friendly flooring product. An example of this green flooring is bamboo. Bamboo takes just 5 to 6 years before it matures so it can be harvested repeatedly for many years. 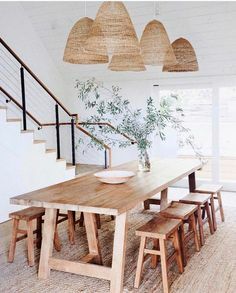 Cork is also a flooring product that is a renewable resource, as it is made from the bark of a cork oak tree, and nothing is harmed in the manufacturing of cork floors. · Made from Recycled Materials. Recycling is another method that can help save the environment. Instead of throwing away old material, which adds to our landfill problems, recycled items can be recycled and put to good use. 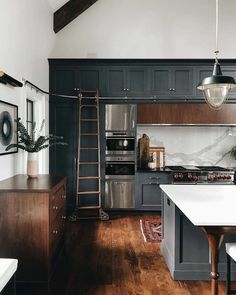 Reclaimed wood flooring that is taken from old homes, barns and buildings for demolition, create a rustic feel giving your home a unique look. · Made from Natural Products. Natural products are good for the environment, as they don’t emit harmful chemicals that can damage and pollute the earth and atmosphere. An example of flooring that is made from natural products is linoleum. Linoleum is made from linseed oil, pine resin, and cork which are not harmful to mother earth. There are now many options available for green flooring. They are affordable, beautiful and most of all environment friendly. Go green! A place to escape into a book. A boat bed for sailing away! An amazing space room to venture into the galaxy! Want to play cowboys and Indians? Who said you can’t play with Legos on the wall? These concepts can be used in bedrooms and play areas. Did the room ideas inspire you? If so, how did they? Take a look at our Design Resource Center for more ways to help you design your next room. 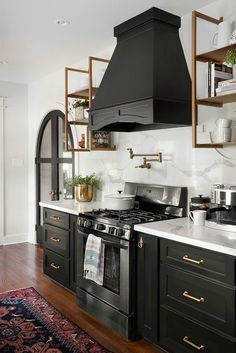 Retrieved from Journal Online's "Tile Tale"
Century Tile’s Mt. Prospect location is celebrating their 50th anniversary! Journal Online helped Frank Parks Sr. recount the last 50 years of business, where he spoke about his many memories in the business. Century Tile first started with one store location at Austin Avenue and has grown to 12 different locations throughout the state of Illinois! Take a look at the entire Tile Tale. Enjoy these past and present pictures provided by Journal Online. A special thank you goes out to Frank Parks Sr. for sharing and everything he has contributed to our family, as well as to Journal Online for telling the tale! It’s a never ending problem, isn’t it? You clean out your pantry, your junk drawer, your hall closet and in a few weeks time it looks as though you did nothing. Many of our readers ask us how to eliminate clutter. Today we have some creative and cute ideas about how to repurpose common items and turn them into clever household storage solutions. Shoe clutter and closet disarray is an all-too-common problem for those of us with shoe addictions. Conquere the dilemma of storing an abundance of shoes by creating a chic shoe bar that puts your favorite pairs on display and offers a vertical space-saving solution. The best part? No hammering or drilling required. To make, use lightweight polyurethane decorative molding cut into 24-inch-long strips. Paint them to match your bedroom’s palette. Attach them to the wall with removable picture-hanging strips. Each bar can hold three or four pairs of heels. To keep your bracelets and necklaces nice and tidy, look no further than the garage. You would be surprised at how well a vintage rake head keeps necklaces untangled and hanging beautifully on the wall. As babies transition to toddler beds, the cribs inevitably make their way to the attic or garage to take up space and collect dust.A new use for a child’s crib railing that is functional, space-saving and stylish, too: a clean-looking vertical magazine rack. Not only can you use the rail for magazines, but also for quilts, towels and wet laundry. We can never have too many ideas when it comes to organizing and displaying jewelry. If you’re not short on storage space, reserve a vanity or dresser drawer just for holding bracelets, necklaces and rings. Use antique china teacups and soup bowls in lined drawers. Each dish serves as a perfect way to separate small pieces like rings, earrings and brooches. If you’re not sure what to do with those tiny nooks around your house or apartment, then we have a solution to ensure they get used to their full potential. By using a tension rod from an old window treatment and some simple shower curtain rings, you can turn those once “dead” spaces into prime real estate for storing handbags, kitchen utensils, accessories and more. Cute ideas, right? If you have any other brilliant storage solutions please share them with us on our Facebook page. Yes, you want to add ceramic tile to your home. Easy, right? Have you ever stopped to consider that ceramic tile has been around for centuries. Since we are keen on history, here is a condensed historical account of tile. The word tile come from the latin word ‘tegula’ and its french derivative ‘tuile’ which means “a roof tile of baked clay”. The english word ‘tile’ is less precise, for it can be used to describe any kind of earthenware slab applied to any surface of a building. The word ‘ceramic’ comes from the greek word ‘keramos’ meaning pottery. It is also related to an old sanskrit root meaning ‘to burn’. Historically, man has always wanted to add beauty to living spaces. To that end, tile has been in existence for over 4,000 years. Beautiful tiled floors have been found in Egyptian pyramids, the ruins of Babylon and ancient Greek cities. Decorative tile work was invented in the near east, where it has enjoyed a longer popularity and assumed a greater variety of design than anywhere else in the world. In Europe decorative tile work did not come into general use, outside of Moorish Spain, until the second half of the twelfth century. But when it did artists created tile mosaics in Spain and Portugal, maiolica floors during the rennaisance in Italy and tile iconography in England and the Netherlands. (Iconography means visual images, symbols, or modes of representation collectively associated with a person, cult, or movement – we had to look it up too). In the beginning given that there was not much technology people used what nature could offer them: clay and water, baked in a furnace or simply dried in the sun. This is called “terracotta”, which literally means “baked earth”. As technology improved the technique of tile and its secrets of trade were safely guarded and orally handed from father to son and master to student. Each tile was hand-formed and hand-painted, so one can say that each tile was an individual work of art. Today there are several types of tile – glazed, unglazed, mosaic, carved and modelled, sgraffito, glass and lustre painted. There are tile pictures and tile patterns. Tile can literally be used on any surface in your home. If you interested in adding this type of art work to your kitchen, your bathroom or your floors, please let us help. After all, where else would one go other than Century Tile, when looking for a century of tile?